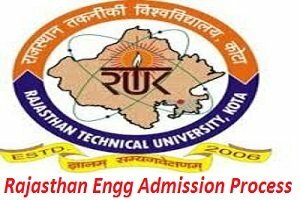 REAP 2018 (राजस्थान इंजीनियरिंग प्रवेश प्रक्रिया): The Rajasthan Technical University (RTU) has announced a notification for invites to undergraduate students to admission in four-year degree courses program. Interested candidates can apply online for the REAP Application Form before the last date. REAP 2018 is ready for conducting the examination to undergraduate students. Every year thousands of students come to admission for the undergraduate program. REAP conducted by Rajasthan Technical University (RTU) which is located at Kota. All the necessary details concerning the REAP Admission Process 2018 has been prescribed below, check all the necessary details below before start applying for the REAP Admission Process 2018. REAP Registration is the way to reach and take admission in engineering college for education in engineering. Application form required to each and every student who want to get admission. In the application form, students need to mention personal, educational and complete student’s details which are required to apply online REAP Application Form 2018. Every student should have to pay some amount of REAP Application Fee. The application fee must be paid by each and every student. Application fee can be paid by students by using one mode of online like (credit card/ debit card/ net banking). Students can be pay application fee through bank demand draft. If any student does not pay application fee will not able to take admission in engineering college. REAP Eligible Criteria must be full fill by undergraduate or interested candidates. Every year thousands of students apply online and want to get admission in engineering college then all candidates must be full fill for eligible criteria. Aspirants must be full fill given below conditions. Students should be passed in previous three-year diploma course in engineering from well-known university or institute. Students should be passed in 12th class standard or higher secondary or intermediate class with minimum 45 % aggregate from the well-known board. Aspirants should be passed in 12th class or intermediate class with required subjects Physics, Chemistry, and Mathematics. Students who have qualified in Joint Entrance exam Mains (JEE) mains can apply online for admission. For reserved category (SC/ST) students have 5% cut off in 12th class percentage. All candidates need to see the Important Dates of REAP for appearing in all events of the exam on time. The dates are given below with the events of the exam. REAP Offered Course for undergraduate course program and provides the course in Engineering. REAP provides education for students and provides education in engineering for many of courses and Provides a four-year degree of bachelor of engineering (B. Tech). REAP offered the course for engineering which is given below students can easily select a one-course program to do four-year engineering. Aspirants who fill the application form of REAP and now waiting for the Admit card of REAP 2018, then they will be Download the admit card of REAP through the official site of this exam. Firstly, aspirants visit the official page of REAP. Then search the admit card link and click on it. Enter the required information in the given columns. now submit this information and download it. Take a print out of this admit card for further use. The selection of the candidates will be on the basis of JEE Main 2018 Scorecard. there will be no separate exam for admission. Candidates need to fill the online exam and roll the scorecard of the exam. The engineering admission process in Rajasthan is open now for undergraduate engineering programs. Rajasthan Engineering Admission Process provides and Allotments College of engineering in Rajasthan according to via their 12th or higher secondary and Joint Entrance Examination Mains (JEE) scorecard. Interested candidates can apply online for REAP. For more information regarding the Rajasthan Engineering Admission Process 2018, the candidates are advised to contact us by commenting at the end of the post, we will respond you as soon as possible.